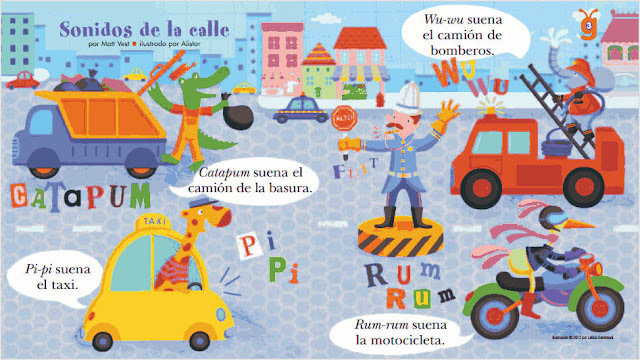 Mommy Maestra: Cricket Magazine Launches Babybug...en español! Looking for an educational magazine in Spanish for your toddler? Well, I finally have one for you! When my kids were little, we would get Babybug and other little magazines like it. At the time, I scoured the internet looking for the same type of magazine but in Spanish, and lamented over the fact that there weren't any. I even went so far as to play with the idea of doing it myself, but with a full plate, that idea never panned out. Well, I am so pleased to share that Cricket Magazine, the leader in quality children's magazines, has embraced the idea and in a progressive move launched Babybug en español. Babybug is a boardbook style magazine made with nontoxic ink, rounded corners, and no staples. It is put together by the very talented Christianne Meneses Jacobs, creator of Iguana magazine, the only Spanish language magazine for kids ages 7 - 12. (Cricket Magazine now offers Iguana magazine as well.) Full of the highest quality content available from the world’s best children’s writers and artists, Babybug is available in a print or digital edition for your iPad! With early learning a critical issue for Latino families that has a significant impact on academic performance, it is important for us to find the resources that we need to prepare our children for school. Babybug helps parents develop their children's pre-literacy and pre-math skills with fun but simple illustrations and activities. Inside you'll find stories and activities that teach them about the seasons, colors, number & letter recognition, ways to develop your child's vocabulary, and ones that teach them about the world around them and their own bodies. 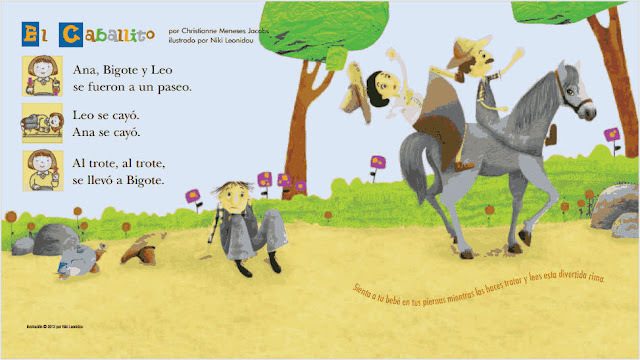 Poems and short stories prevail and make learning a lot of fun for you nenes. I especially love how they incorporate cultural folklore and fingerplays that allow us to pass down the traditional stories of our heritage. So many of them are not only fun, but educational, too. Learn more about Cricket's Spanish Magazines for children here. 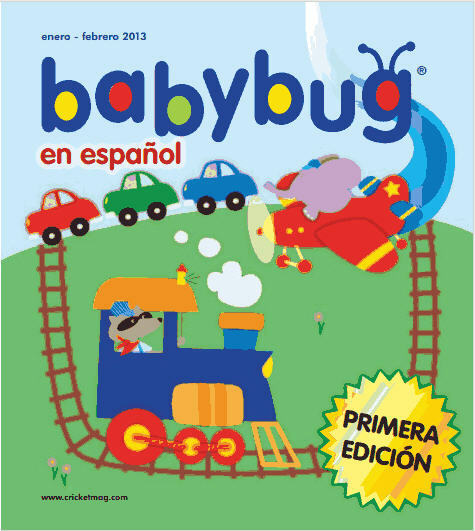 Disclosure: I received a digital copy of Babybug en español for review purposes. Thank you for posting this! I had found Iguana Magazine online when it first came out, but didn't have any children in that age group. Now that I do, I was so happy to be reminded about the magazine and have already ordered our subscription. Thanks again! Thanks for sharing! Never heard of this magazine...but it looks great! We had the English version years ago and we loved it. I'm excited about the Spanish version which looks equally good. Wow, this is a great resource for teaching your kids some Spanish. I'm in fact actually learning Spanish myself at the moment but also passing on some of what I'm learning to my 9 year old son who has taken a surprising interest in Spanish. I'll be getting the digital version of this magazine for my son for sure. I'm sure I'll probably learn a bit of Spanish from it myself! I didn't know it was now available in Spanish..love it!